Flat water racing excellence at the heart of the community. Our Mission is to encourage and support all paddlers from complete beginners to international athletes to be the best that they can be. We are non-for-profit organisation using funding and club income to reinvest in our community and club. Norwich Canoe Club is proud to be a British Canoeing Talent Club Partner and a centre of excellence for flat water kayak racing in both the Sprint and Marathon disciplines. The Club is based at the modern Whitlingham Boathouse in Trowse Norwich on the River Wensum and Yare with access to the Great Broad and Little Broad in Whittlingham Country Park. The club also has access to two gyms, one in the boathouse and one at Wensum Sports Centre. We have two hundred members from beginners to International Athletes as well as thirty qualified coaches. Technical coaching and friendly advice is always available. We have training sessions everyday of the week from early morning to evening. Wednesday evenings and Saturday mornings are times when the whole club comes together to train. The club is recognised by British Canoeing as a specialist paddle-ability club. The club runs introductory sessions to introduce beginners to kayaking and the club. Dyson was a founder member of NCC and is a life-long paddler. He is actively involved with the British Canoeing as the club based coach for the GB world-class canoeing coaching programme and as a selector for GB marathon teams. Dyson still finds time to paddle and compete in some competitions. 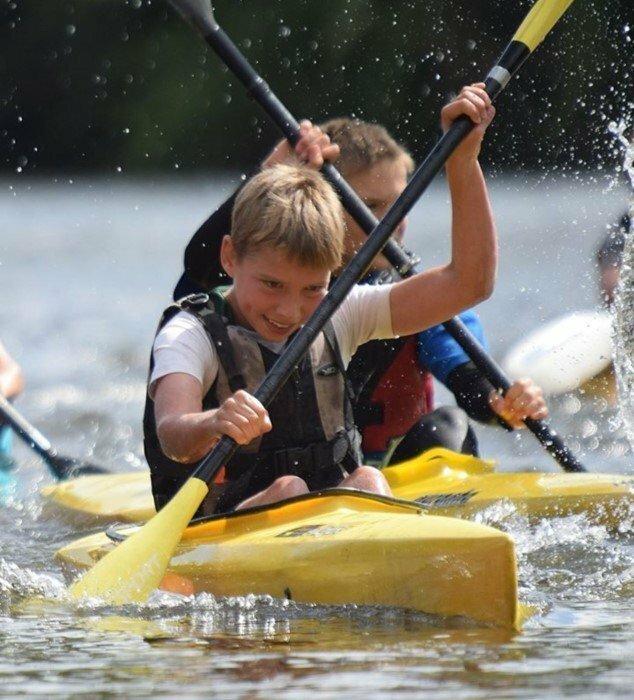 Tim is our UKCC Level 3 racing coach, and British Canoeing Racing Coach Tutor who overseas the technical development of the junior paddlers, co-ordinates schools kayaking and the community outreach program. Tim has been awarded the Norwich City Coach of the Year 2013. Active Norfolk Coach of the Year runner up 2013, and British Canoeing Paddle Ability Coach of the Year runner up 2013. Ian is our Level 3 WW and Schools Coach.